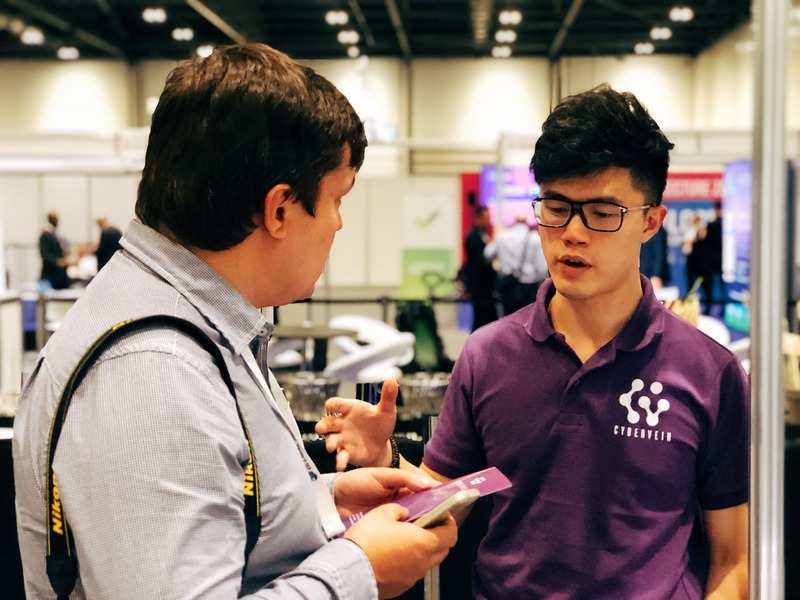 Our Euro tour started off on right foot last week as we had the pleasure to present the CyberVein project at the Blockchain International Show (BIS) in London. The Blockchain International Show London is a two-day event dedicated to the blockchain industry, uniting world-leading experts and business representatives at London’s ExCel exhibition and convention centre. The BIS conference was our first stop on a month-long Eurotour. This roadshow trip is our first opportunity to present the CyberVein project to an European audience, and so far the reception of our technology and vision has exceeded our expectations. DAG technology has become a heavily debated topic in leading circles of the blockchain industry, and rightly so. Directed Acyclic Graph ledgers hold the potential of expanding blockchain use cases to new, untouched domains. CyberVein’s decentralized database network is such a domain, and we are excited to find so many enthusiastic colleagues in Europe, expressing their interest and providing valuable feedback. The Blockchain Expo Europe (“The world’s largest Blockchain conference & exhibition”) in Amsterdam on June 27th - 28th. If you’re around, drop by our booth and say hello. We’ll be glad to chat.